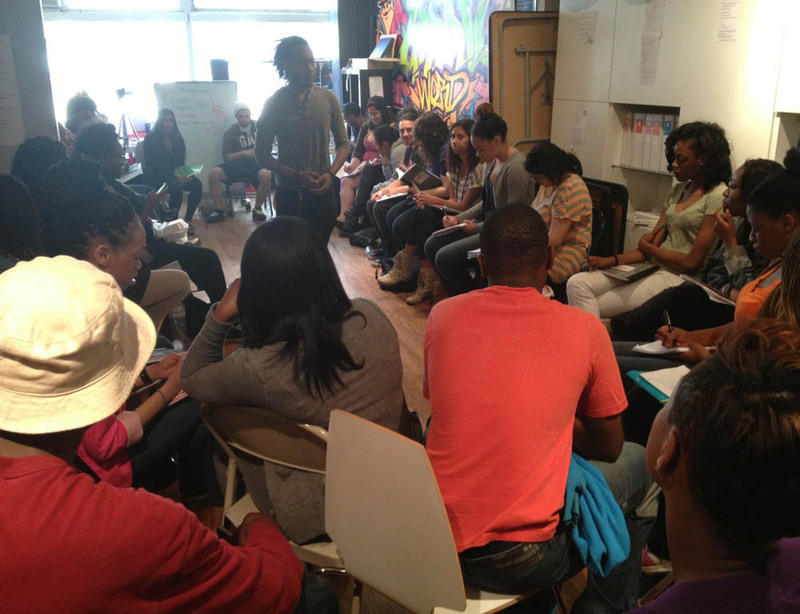 Urban Word NYC champions the voices of New York City teens by providing platforms for critical literacy, youth development and leadership opportunities; through free and uncensored writing workshops, college prep and events to perform/share their work. The Digital Divide is a problem that grows daily as the technology advances but the access to these tools and resources become increasingly sparce. While these youth are rapidly learning more about writing and performing spoken word, the pages they write on have changed, thus Urban Word has had to evolve with the digital era and become accessible online with a constant presence to increase digital participation. Digital media has changed how the youth create, lead, read, write, perform, and engage for the better. Founded on the belief that teens can and must speak for themselves, Urban Word NYC, has been at the forefront of the youth spoken word scene, poetry and hip-hop movements since 1999. Moving forward we wish to further our youth development programs with the most progressive trends in student-centered pedagogy, connected learning and inquiry-based classrooms.